If Clint Bowyer needed anything at the beginning of 2018, he needed a return to Victory Lane. The veteran driver was stuck in a winless drought stretching back to the autumn of 2012, a total of 185 races. 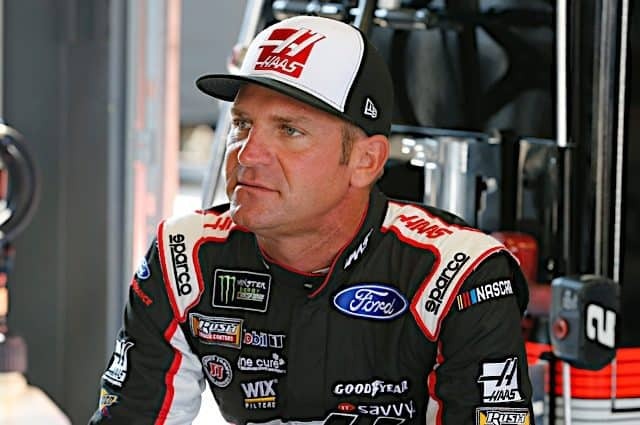 Bowyer had come close to winning on a handful of occasions in 2017, his first season with Stewart-Haas Racing. However, the No. 14 team was never able to close the deal, and a lack of wins contributed to Bowyer missing the playoffs. The dry spell finally came to an end for Bowyer in 2018. He won two races and qualified for the postseason for the first time since 2015. Although the No. 14 team faded down the stretch, Bowyer had his best overall season since his first year with Michael Waltrip Racing. 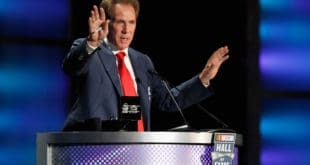 His success in 2018 was a major component of Stewart-Haas Racing’s ascendance and the resurgence of Ford. Bowyer’s first win came at Martinsville Speedway on a Monday after a snowstorm caused NASCAR to postpone the event. He quietly worked his way forward, took the lead with just over 200 laps to go, and led every remaining lap but one on his way to victory. It was dominant performance by a driver who had had very few of them lately. After capturing the checkered flag and the grandfather clock, Bowyer celebrated with gusto. His win was a popular one in the garage, and the whole Bowyer family was there to see it unfold. Bowyer followed up the win with four top 10s in the next five races. 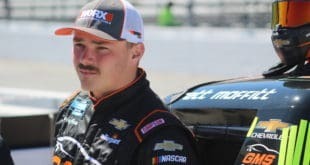 The last one was at Dover International Speedway in May, where he found himself out front when it began to rain with less than 100 laps to go. It looked for a moment like had beaten Kevin Harvick, his SHR teammate who had dominated the race up to that point. However, the rain shower proved to be quick, and once the track was dry, Harvick slipped around Bowyer and raced to victory. A few weeks later at Michigan International Speedway, Bowyer and Mother Nature turned the tables on Harvick. Just like at Dover, the No. 4 looked like the car to beat. 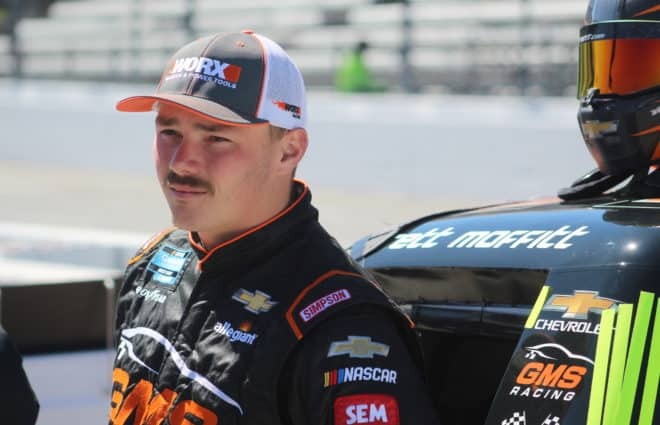 But during the caution following the second stage, crew chief Mike Bugarewicz opted to take two tires and beat the rest of the field out of the pits. Bowyer held his teammate off for four laps until a crash brought the caution flag out again. As the field circled the track behind the pace car, rain began to pour and the race was halted, never to be resumed. Bowyer had secured his second win of 2018. Once again, we were reminded that there is no party like a Bowyer party. However, 2018 was not all fun and games for Bowyer, who took some hard hits on the superspeedways. At Talladega Superspeedway in April, Bowyer got swept up in a chain reaction crash that broke up his top 10 streak. His crash in the summer race at Daytona was even worse. Running in the top 10 with the white flag in sight, Bowyer got spun by Bubba Wallace head-on into the outside wall, triggering another huge crash in a race where the level of carnage was off the charts. Thankfully, Bowyer and everyone else involved was okay. Even with a few wrecks and disappointing finishes, Bowyer continued to look very impressive. 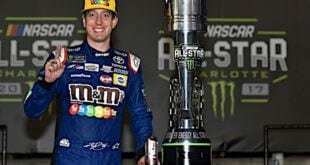 By the halfway point of the season, he was the only driver other than the “Big Three” of Harvick, Kyle Busch, and Martin Truex Jr. to have multiple race wins. The chatter around Bowyer had shifted from winning races to contending for the championship. In a season where three drivers looked more dominant than the rest of the field, but due to end with a final championship race where there had to be four contenders, Bowyer had a strong case for being that fourth contender. The only real issue with the No. 14 team is that it did not seem to be improving as the year progressed. During the late summer, Bowyer appeared to lose the top five speed he had flashed earlier in the season. Additionally, he let a few good opportunities to gain more playoff points slip away. At the Bristol Night Race, Bowyer was leading late but spun his tires on a restart with 23 laps to go, allowing teammate Kurt Busch to take the top spot. After a quick caution and another restart 10 laps later, Bowyer spun his tires again and faded all the way to sixth. A few weeks later at Indianapolis Motor Speedway, Bowyer had his best race in months. He won the first stage and led for a total of 37 laps. On a restart with three laps to go, he was in second place, leading the outside line, and struggled to get going. Several drivers on the inside line, including eventual winner Brad Keselowski, blasted past the No. 14. Bowyer had to settle for fifth. The No. 14 team took 15 playoff points into the first round of the postseason, but it almost was not enough to advance. 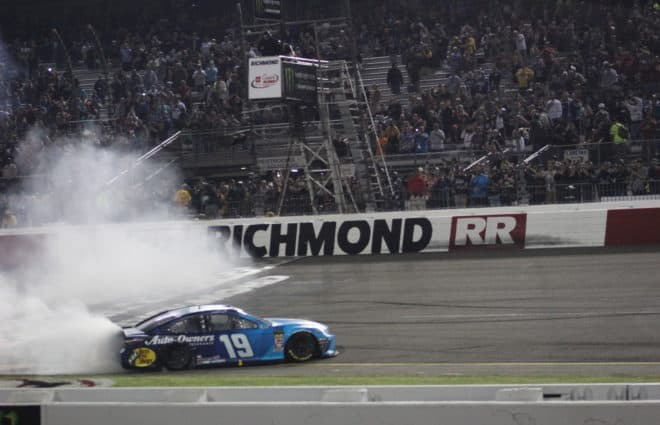 After cutting a tire late at Las Vegas and a difficult race at Richmond, Bowyer found himself below the playoff cut line heading to the ROVAL. With no room for error in the biggest wildcard race of the playoffs, the No. 14 team played it safe and smart, collecting 14 stage points and surviving the late-race wrecks to finish third and advance to the round of 12. The opening races of the postseason wound up setting the tone for Bowyer’s championship hopes. While the No. 14 was on the cusp of being a top five car early in the season, it was only on the cusp of being top 10 during the playoffs. Bowyer did have a great run at Talladega, where SHR gave the rest of the field a complete shellacking. He was lucky to finish second and not run out of fuel in the closing laps of the race. The Talladega performance offset a bad day at Dover and gave Bowyer enough points to move on. In the Round of 8, the Bowyer’s championship hopes came completely unraveled. A late crash and a 21st place finish in his return to Martinsville put Bowyer in serious trouble. One week later at Texas Motor Speedway, Bowyer washed up the track in the very first turn of the race and bounced off Denny Hamlin. The contact cut Bowyer’s tire and forced him to pit under green, losing two laps in the process. The No. 14 team never recovered, and when Bowyer crashed at ISM Raceway the following weekend, his title hopes were gone. 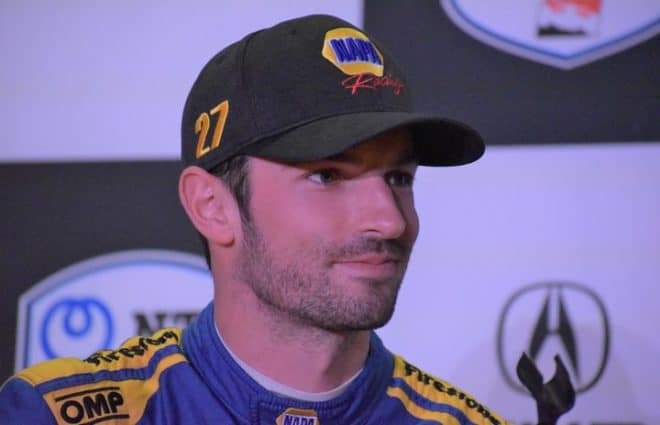 He ended his season with an eighth-place finish at Homestead-Miami Speedway. Bowyer getting multiple wins in 2018 is a big deal. 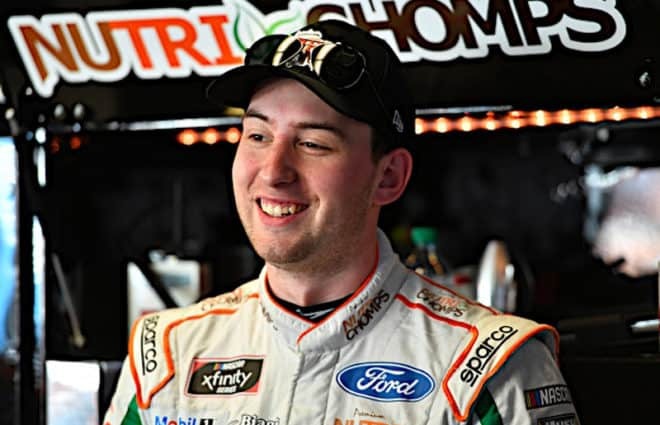 He got to fully participate in SHR’s excellent season and take the No. 14 team deep into the playoffs. But his actual playoff results were a little disappointing. 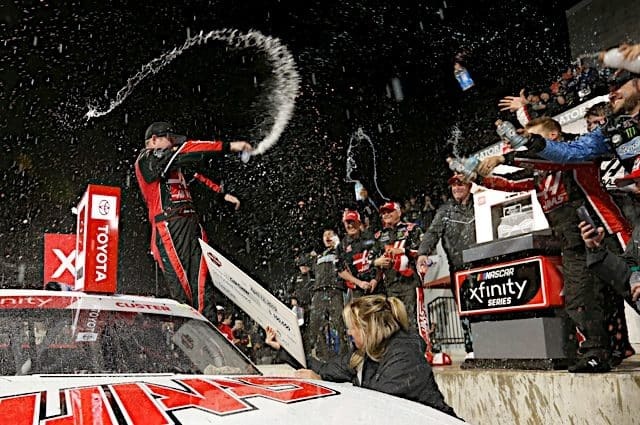 It felt like Bowyer had so much potential earlier in the season that he could not capitalize on when it came time to fight for the championship. If Bowyer can take another good step forward in 2019, then he should become the kind of serious championship contender he was on the verge of being this year. He proved that he is still competitive, but he is approaching his 40th birthday and competing in a sport that is determined to get younger. Bowyer still has the opportunity to win a championship with Stewart-Haas, but the clock is ticking. As always, when it counted, he spun out. Damn itch won’t go away.